Best done early when the doors first open, The Nantucket Whaling Museum is a deep dive into Nantucket’s famous history as a whaling capital in the 18th and 19th centuries. View historical artifacts, gaze up at an entire whale skeleton, and learn courageous tales of the sea! All ages welcome. Long Version: Nantucket is full of history and The Whaling Museum is the crown jewel of the Nantucket Historical Association’s portfolio of historic homes on public display. Inquire about walking tours and lectures at the museum and online. The Brant Point Lighthouse is the closest landmark to Hawthorn House. Watch the boats come in the harbor and fishermen try to catch dinner. 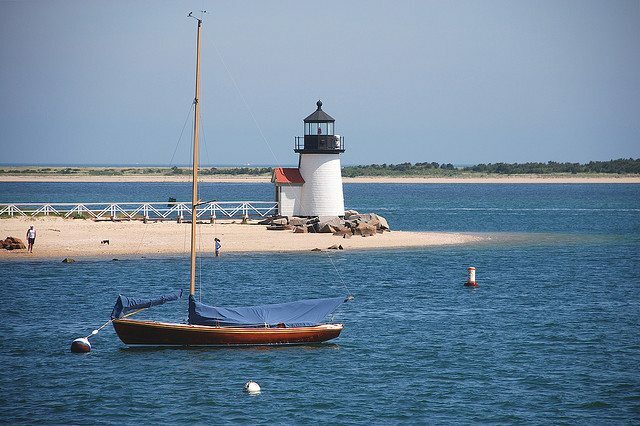 The best swimming is on the harbor side facing Nantucket Town. To get there take a left past the Whaling Museum and then a right onto Easton Street. Brant Point is at the end! A great place for a picnic. If you’re looking for more, Jetties Beach isn’t much further down Hulbert Avenue and offers on the sand dining at The Sandbar Restaurant and plenty to do for the kids. Walk amongst rose covered cottages, get an old fashioned scoop of ice cream, and gaze off a bluff over the endless Atlantic. These are things ‘Sconset is made of, a charming defunct cod fishing village that was reconstituted as a summer colony by artists and writers in the early 1900s. Take a $2 public shuttle from Broad Street, or if you are feeling hearty, ride a bike out Milestone Road. Grab a sandwich from Claudette’s and then walk down to Codfish Park where you can sit by the water. 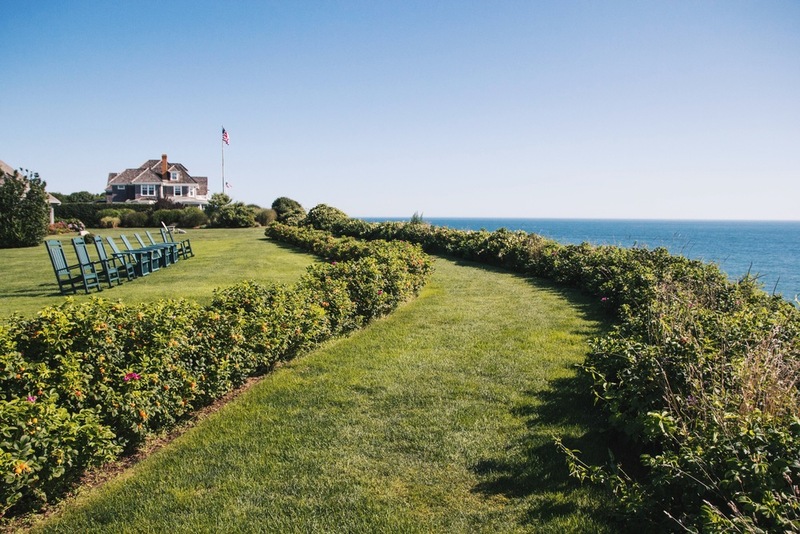 There you can pick up the famed Bluff Walk, which leads you along the ‘Sconset Bluff overlooking the Atlantic Ocean and prestigious homes of summer past. We teach on amazing location which is well known as one of the worlds best flat water spots. Shallow sandbar and prevailing SW wind direction create ultimate kiteboarding playground and even better spot for learning. Nantucket Island Surf School is the island’s premiere surf school. Since 1999 we’ve been teaching surfing at Cisco Beach on Nantucket to students of all ages and ability. We offer private lessons and group lessons as well as week long mini camps for kids. We also offer standup (SUP) paddle boarding lessons. All equipment is provided, which includes boards and wetsuits. Supta Yoga Nantucket is a community oriented yoga studio that works to cultivate a dynamic twist on yoga while honoring the deep rooted techniques + traditions. We offer an accessible yoga practice that is meant to inspire - we teach yoga as a preventative healing modality that promotes self-care and active engagement within a healthy lifestyle. The Graceline Institute was founded by Mickaela Grace as an evolutionary atrium in the center of the community where all walks of engage in direct and visceral experience to strengthen the unified field and elevate the heartbeat of all humankind. Bettina Broer started practicing yoga in 1978 while living on a Greek island where classes were free. She received first certification from Kripalu in 1995 & started teaching on her living room floor, soon moving her classes to an old carriage house in Hudson, NY. She received a second certification in Ashtanga while living in Mexico in 1997 where she also studied a newly-minted style called “Anusara” under John Friend. (The manuals were hand-written). In 2009 her Ashtanga practice led her to study at Pattabhi Jois’ institute in Mysore, India. The Barre Bus was born in 2016 on Nobadeer Beach in Nantucket, MA. The original Barre Bus is a 1979 Pinzgauer, able to drive directly on the beach and offer a seaside barre experience like no other! We are available to rent for your mobile barre class: wherever you go, we go, too! Parks, Mountains, Wineries, even backyards! Rent us for your private event, music festival, or anytime you want the highest quality barre class wherever you are. Katie was recently awarded a Fearless Award in Collection 44 in the ‘Real Moments’ category, won a Gold Award and Diamond Award from the Wedding Photojournalist Association and placed 2nd in the ISPWP Summer 2018 Awards in the ‘getting ready’ category. Katie is a Co-President of the Photographers Alliance of Nantucket, a member of Fearless Photographers, Wedding Photojournalist Association, International Society of Professional Wedding Photographers and The Nantucket Island Chamber of Commerce. She is also a board member of Petticoat Row, Women in Business and The Nantucket Arts Council.